Comics Day 2013 celebrated Science Fiction comics and featured creators who have worked in this genre, from well-established names to new talent. This came at an important time for British science fiction, with the 50th Anniversary of Dr Who and last year’s 35th Anniversary for 2000AD, Britain’s premier science fiction comic. Many of this year’s guests have worked on Dr Who comics, and for 2000AD, and others have worked for beloved franchises like Transformersand Star Wars. 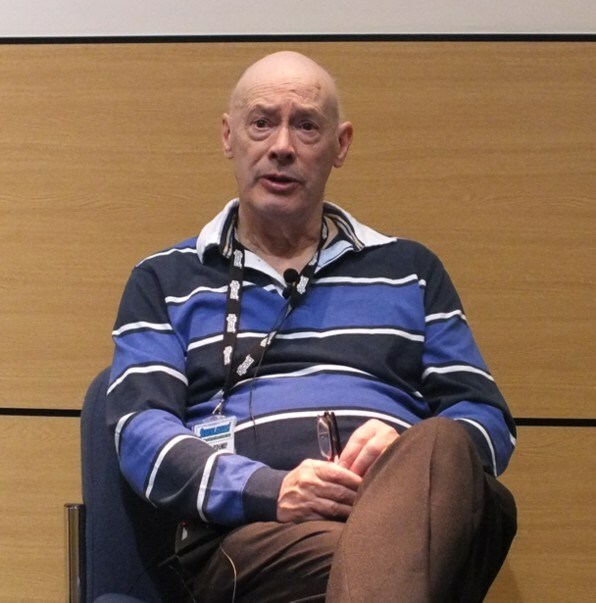 John Ridgway started his varied comics career freelancing for DC Thomson in the 1970s, drawing Commando comics. He became a full-time comics creator in 1984, working for 2000AD (Fleetway), Warrior (Quality Communications), and for Marvel UK and DC Comics. 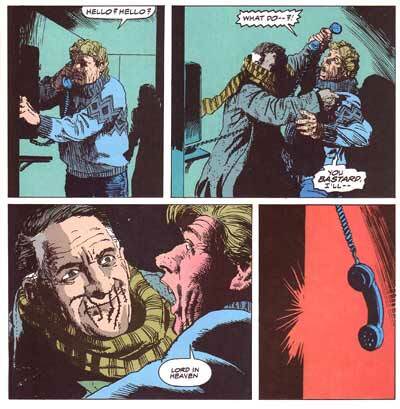 He lent his distinctive style to his work onTransformers, Dr Who and Zoids for Marvel UK, and Hellblazer for DC Comics. He drew The Dead Man series for 2000AD, which is notable for being the only story where Judge Dredd appears without his helmet. He also produced the colour and 3D models for Hal Starr and Jeff Hawke with Sydney Jordan. Ian Kennedy was born in Dundee in 1932 and started his career in 1949, working for DC Thomson. During the 50’s he worked on a variety of comics such asThriller Picture Library, Air Ace, Hotspur and Wizard. After this Ian began his long association with Commando. In the 70’s Ian worked on science fiction comics such as Starlord, 2000AD and Starblazer. 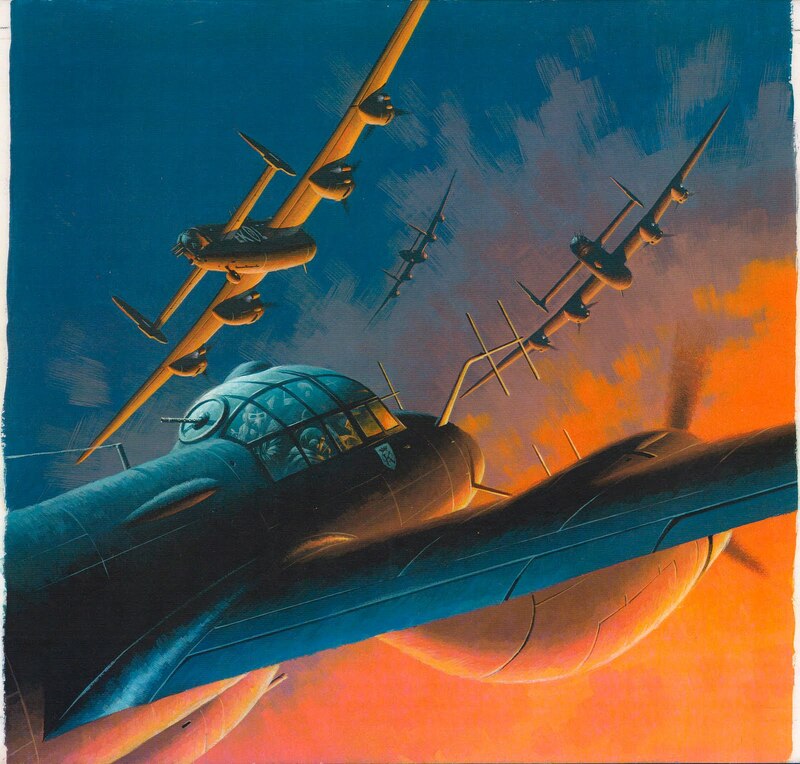 He had a long run on the new Dan Dare for IPC in the 1980’s as well as producing art for the Blake’s 7 comic magazine. Ian is semi-retired, but still produces covers for Commando! newspaper strip “Jeff Hawke”, which ran in the Daily Express from 1955 to 1974. The series was especially popular in Europe. Sydney then went onto create another science fiction strip, “Lance McLane” for The Daily Record, which ran from 1976 to 1988. In June 1996 The Planet on Sunday (a very short-lived newspaper) published a new episode of Dan Dare, illustrated by Sydney. William Rudling, who runs the Jeff Hawke Club accompanied Sydney, and talked with him about this much loved strip. 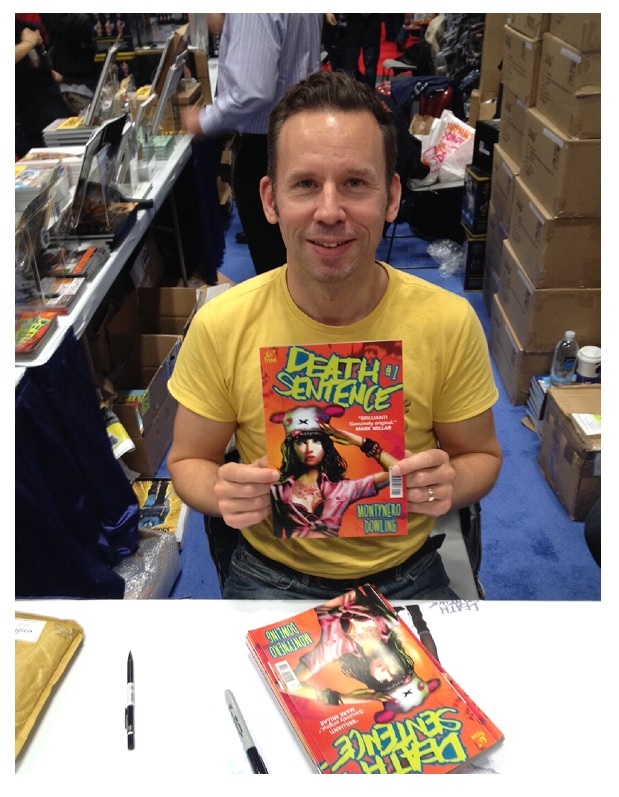 Robbie Morrison is the creator of Nikolai Dante, one of the most beloved characters in 2000AD’s recent history. He also wrote Shimura, with art by Frank Quitely, and has written for US companies DC Comics, Marvel and Wildstorm, with runs on top-selling characters such as Batman and Spider-Man. He is the writer of Drowntown, recently published by Jonathan Cape, with art by Jim Murray. Andy Wildman is best known as an artist on comics such as Transformers, The X-Men, Spider-Man, Venom, and Frontier, but he also creates character and environment design for the TV and Video Games industries. He was head character designer for the animated TV show Legend of The Dragon, production designer for the children’s animated TV show The Matt Hatter Chronicles and storyboard artist for the BBC on The Fades and Doctor Who. In 2005 he founded the charity project, Draw the World Together to raise funds to enable education possibilities for street children around the world. Kev Hopgood is a children’s illustrator and comic book artist. He works for a wide variety of publishers in the UK, US and Europe, including Marvel comics, for whom he co-created the popular character War Machine, who appeared in the recent Iron Man movies. 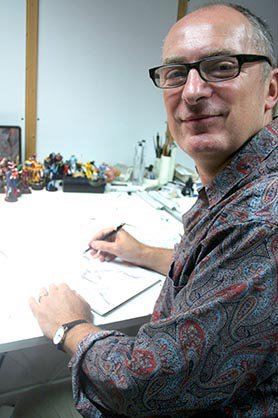 He drew Zoids, written by Grant Morrison, for Marvel UK, and has worked for 2000AD, drawing Night Zero, Harlem Heroes and Judge Dredd. He has also drawn several Dr Who stories, He’s also worked in the educational and ELT field for publishers such as Oxford University Press, Barrington Stoke & Franklin Watts. 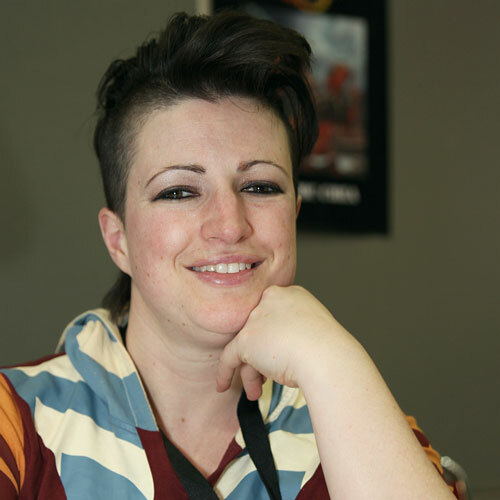 Tanya Roberts is a comic book artist based in Edinburgh and working for various companies including Lucasarts, Disney and American Greetings. She has recently drawn several licensed properties, including Toy Story and Strawberry Shortcake and works on Star Wars: Clone Wars. She is the creator of Forgotten Muse. Montynero is the writer of Death Sentence, a story about a disease that enhances its victim’s natural abilities, and sometimes bestows superpowers. It was serialized in Clint, and has gone on to considerable success, receiving excellent reviews and being published in a collected edition by Titan. 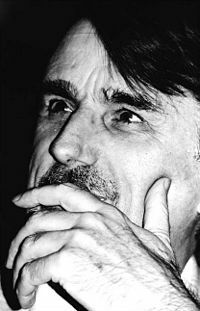 Montynero is both a comics writer and artist, and has worked for 2000AD and in the computer games industry. Dundee Comics Day is part of the annual Dundee Literary Festival and exists to draw attention to Dundee’s important role in the history of comics. It began in 2007 and aims to bring together artists, writers and other professionals involved in the comics industry. 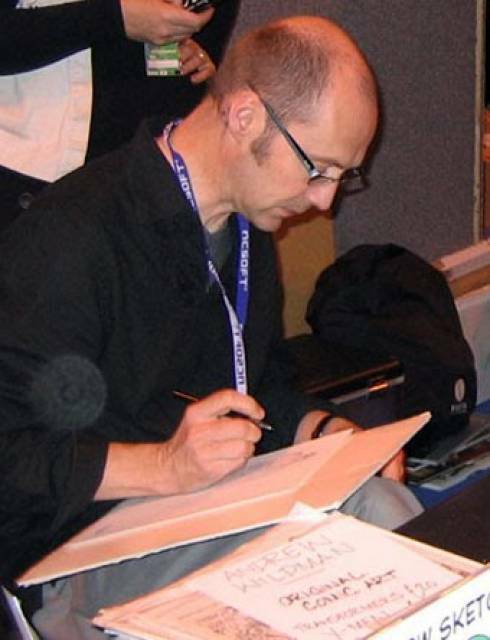 In recent years themes have included the work of Grant Morrison (MBE), history of British comics, how comics represent time, and how comics are created. 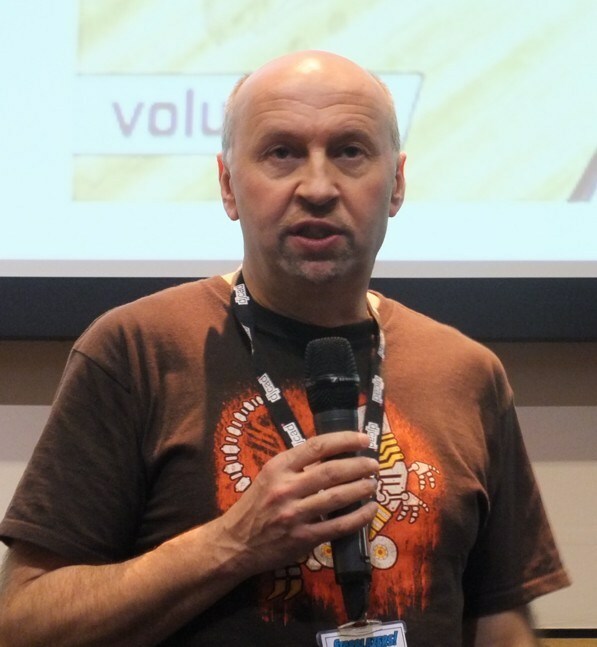 Past Comics Days have included talks from such prominent figures as Warren Ellis (Planetary, Transmetropolita ), Alan Davis (Captain Britain, Miracleman, Excalibur), (2000AD, Slaine, Nemesis, Requiem Vampire Knight), Rian Hughes (Dare), Bryan Talbot (The Adventures of Luthor Arkwright,Alice in Sunderland ). Alan Grant (Judge Dredd, Batman), Gary Erskine (The Filth, Dan Dare), Hunt Emerson (Little Plum, Ratz), Metaphrog (Strange Weather Lately, Louis), Keith Robson (Starblazer), Ilya (Mammoth Book of Best New Manga), Emma Vieceli (Manga Shakespeare), and Nana Li, who gave a workshop on creating Japanese style comics. It has also featured comics editors Dez Skinn (Warrior, Doctor Who Weekly), Morris Heggie and Bill McLoughlin (both DC Thomson), and David Bishop (2000AD). Comics Day has also featured contributions from leading comics scholars and historians such as Roger Sabin, Paul Gravett, Julia Round, Billy Grove, Mel Gibson, Peter Hughes Jachimiak, and Ian Hague. 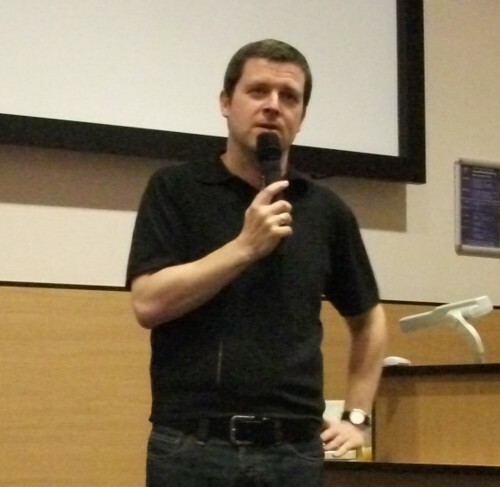 The Comics Day talks are designed to appeal to everyone with an interest in comics, and will be accessible to the general public, comics fans of all ages, and those with a scholarly interest in the medium. For more information about the Dundee Comics Day please contact Chris Murray or refer to the news announcements for the return to the Events page to find out more about previous and upcoming comics days.